It has now been a year and a half since I’ve started my PhD at the University of Exeter and I still tend to get confused faces each time I start talking about my project. The bat lovers don’t always understand why I’m doing genetics and the geneticists don’t understand why I’m studying the Bechstein’s bat. So, I thought that this blog post would be the perfect opportunity for me to explain what I’ve been doing lately and why genetics can help to better protect this species. For those who aren’t familiar with the Bechstein’s bat (Myotis bechsteinii), this species tends to be associated with old growth woodland with tall oak trees and a dense hazel understorey. It is one of Britain’s rarest and most elusive mammals due to the scarcity of its habitat, low capture rate and difficulties in differentiating Myotis bat calls when undertaking acoustic surveys. Their presence in Britain was only confirmed by a few sporadic sightings in southern England during the twentieth century until they started to appear in some of the VWT’s bat boxes! This was then followed by some intensive radio tracking to determine the ranging behaviour and habitat preferences of this species and an on-going long-term ringing study of the species. The Bat Conservation Trust used this information to develop the Bechstein’s bat project which aimed to map the UK distribution of Bechstein’s bats by using acoustic lures to increase trapping rates. Although this project was very successful with colonies found in Worcestershire and Buckinghamshire, it also produced a huge number of unanswered questions. This is where my work comes in handy! By using molecular markers, we will be able to tell how closely related the populations across Britain are and whether any are showing any signs of isolation and inbreeding. We will then use this genetic information to quantify the effect that the surrounding landscape, such as road or urban areas, are having on the genetic connectivity between populations. 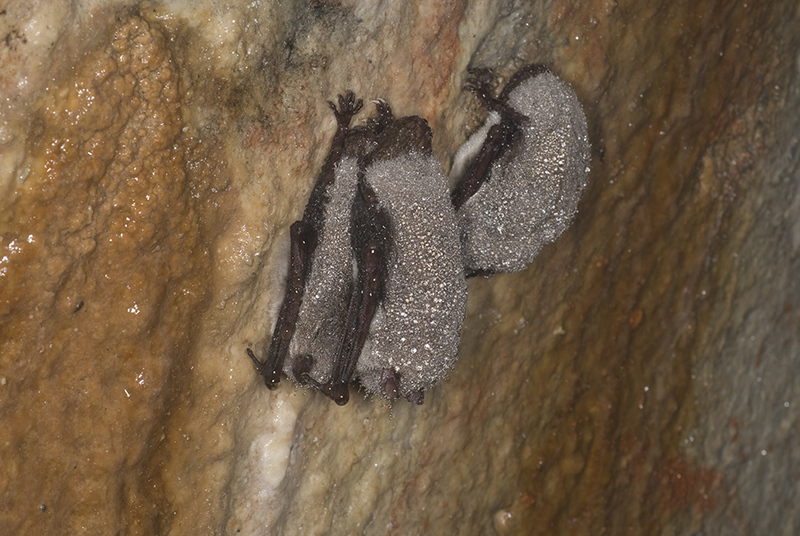 This information is particularly important for a species living in a fragmented landscape and could then be used to predict the impact of new developments on the bats or to design corridors. Most of my time spent in the lab up until recently was focused on extracting DNA from my samples and preparing the lab protocols that I will use for the DNA analysis. This can sometimes take quite a long time, but they are now ready to be processed! Some initial results seem to indicate that bats from the Isle of Wight and Dorset seem to be more closely related, than those from Wiltshire. Although these are early days, I’m looking forward to analysing populations from further north and seeing how they fit in. Over the summer, I’ve also been doing a lot of field work in order to increase the number of samples we will use for our study. 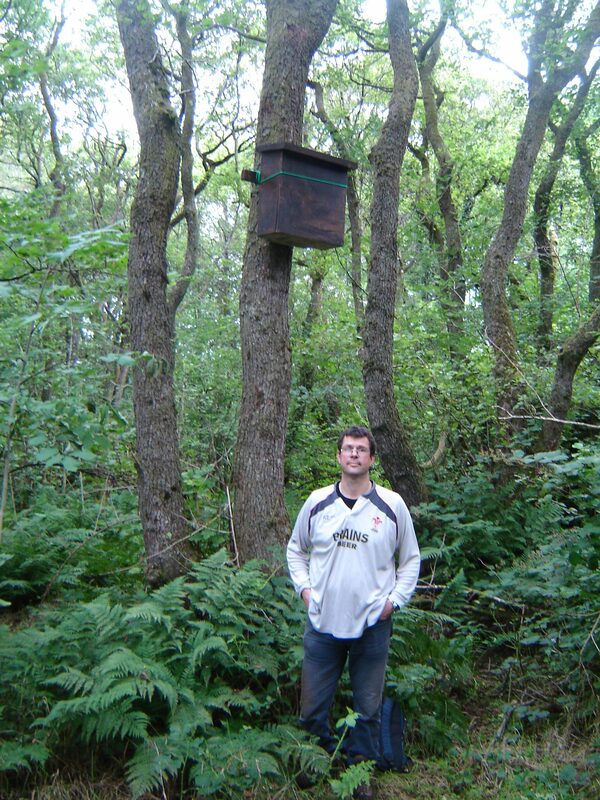 This usually involves conducting box checks or trapping in woodlands where Bechstein’s have been found in the past. Fortunately, Bechstein’s bats tend to be found in some of the loveliest woodlands in England, so I always look forward to collecting more samples! This work is made a lot easier by the help of volunteers, ecologists, bat groups and local Wildlife Trusts who are happy for me to come along or collect fresh bat droppings if they ever catch a Bechstein’s and I’m not around. This past year, I’ve been fortunate enough to visit Bechstein’s habitats in Germany and Luxembourg. Although there are clear similarities between the European sites and the English woodlands that I’ve studied, such as the importance of woodpecker holes for roosting, the bats also appeared to be using old growth beech woodlands in Germany whereas in Buckinghamshire they frequently use tree roosts outside of woodlands. There’s still a lot that we don’t know about this species and we’ll probably never understand it completely, but I’m looking forward to unravel some of these mysteries and help contribute towards the conservation of the Bechstein’s bat.